Thought this is such a cool play with words. 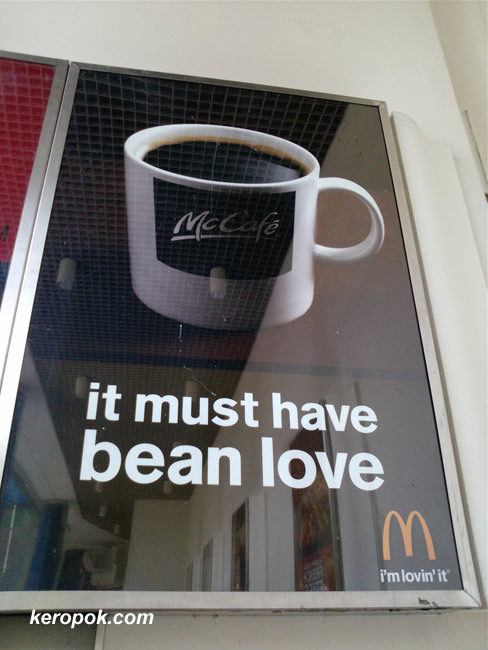 It must have "bean" love. LOL.. Ya, another photo taken using the LG Viewty Smart camera. If you are in Singapore, hop over these few days to CommunicAsia 2009 to view it. Funny both ads are done by the same agency... Haha. which two ads are u talking about? this and?